William S. Lyon received his Ph.D. in anthropology in 1970 and has spent his career in the study of North American Indian shamanism, mainly among the Lakota. He first met Wallace Black Elk, a Lakota medicine man, in 1978 when they jointly conducted a summer session course at Southern Oregon University in Ashland, Oregon. This summer course won First Place nationally in the North American Association of Summer Sessions Creative Program Award contest. Subsequently, Wallace Black Elk returned to Ashland each summer thereafter to conduct the same course in which students built and participated in a sweat lodge ceremony. By the 1980’s Black Elk also initiated a Sun Dance near Pilot Rock in the mountains that included all races. Initially, A.I.M. threatened to shut down the ceremony, but that never took place. This annual Sun Dance in Ashland continues to this day. 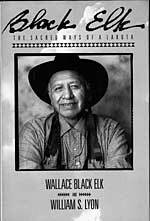 In 1986 Lyon left academia to spend full time traveling in the U.S. and Europe with Wallace Black Elk, Archie Fire Lame Deer, and others. Over the next four years Lyon taped the many talks given by Black Elk that resulted in the 1991 publication of Black Elk: The Sacred Ways of the Lakota by Harper / San Francisco. This book is entirely in the words of Black Elk. The paperback edition is still in print after twenty years. This title has also been published in French, German, and most recently in Bulgarian. 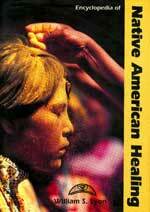 In 1996 Lyon published The Encyclopedia of Native American Healing by ABC-CLIO, which was republished in 1998 by W. W. Norton in a paperback edition. This encyclopedia surveys different aspects of American Indian healing ceremonies. The title is still available in both the hardback and paperback editions. In 1998 Lyon published The Encyclopedia of Native American Shamanism, again by ABC-CLIO. 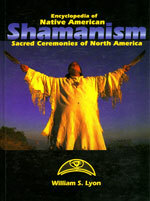 This encyclopedia surveys the many other types of shamanic ceremonies found in North America. It was never published in a paperback edition, but hardback copies are still available. 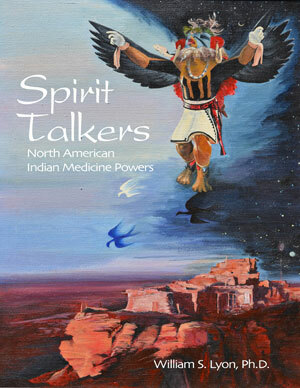 Lyon’s most recent publication is Spirit Talkers: North American Indian Medicine Powers, now available in eBook, PDF, and soft cover print formats. This is the first book ever written by an anthropologist in which the focus is entirely on American Indian medicine powers. It is also the first time an anthropologist has taken a public stance on the fallacy of assuming Indian medicine powers to be merely native superstition. Because medicine powers cannot be scientifically proved or disproved, one can only assume them to be either real or not real. This book argues that in light of recent discoveries in quantum mechanics, there is much more evidence to assume such powers are real than to assume they are not real. Consequently, this is also a ground breaking book that will be highly controversial. Read Chapter 1 - Superstition  but whose?